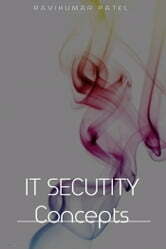 I wanted to pose an interesting philosophical question namely why is information security necessary. Information technology (IT) offers many career paths and information security is one of the fastest-growing tracks for IT professionals. PC security, otherwise called digital security or IT security is the assurance of PC frameworks from the robbery or harm to the equipment, programming or the data on them, and also from disturbance or confusion of the administrations they give. Although many of the Investments that are made into information privacy and security are not related to malicious attacks. There is nevertheless an extraordinarily large amount of investment in information privacy and security mechanisms that are targeted toward protecting systems against attacks by malicious parties from a philosophical perspective.